Simon Bubb (Dan) and Rae Brogan (Sarah). Photo: Sam Taylor. Burning Bridges is the first stage play by Amy Shindler, an actor (she plays Brenda Tucker in The Archers) and writer for television comedy (Pat and Cabbage, Trollied and school kids’ favourite Horrible Histories). This is the story of a domestic love triangle where one of the characters happens to be autistic. Oh, and the sister of the wronged party. 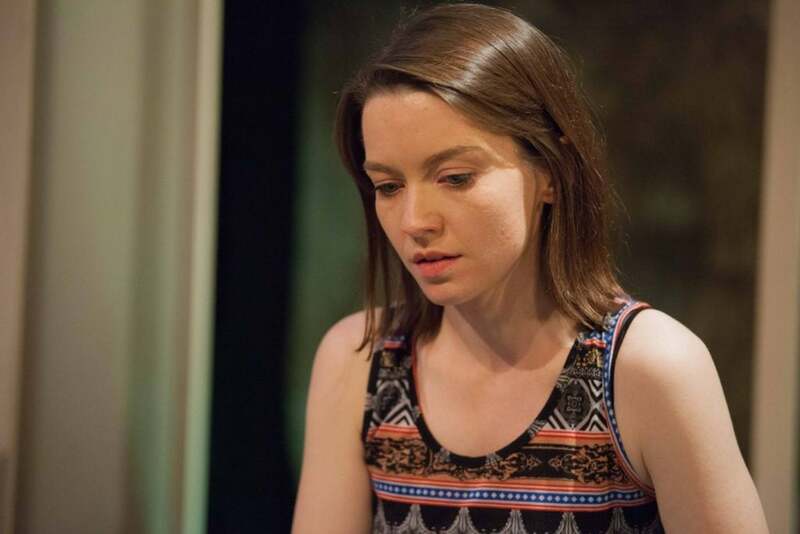 Anne Adams is sympathetic as Kate, the put upon older sister forced to choose between her younger, autistic sister, Sarah, and her husband, Dan. Rae Brogan gives a subtle and compelling performance as Sarah, and I found myself rooting for her even as she sets out to seduce her sister’s husband. At first, Sarah is depicted as a burden, as we witness the impact her presence has on Anne’s career and marriage, and the first half flies by with a light touch from Shindler, as well as the sheer momentum of the plot. The naturalistic set design by Max Dorey gives way to a bare stage in act two as things fall apart. Anne Adams (Kate) and Simon Bubb (Dan). Photo: Sam Taylor. Anne’s conflicted loyalties between Sarah and Dan are well mined, with the burden on her sudden role as a full-time carer in a parental role she never chose depicted with sensitive insight. 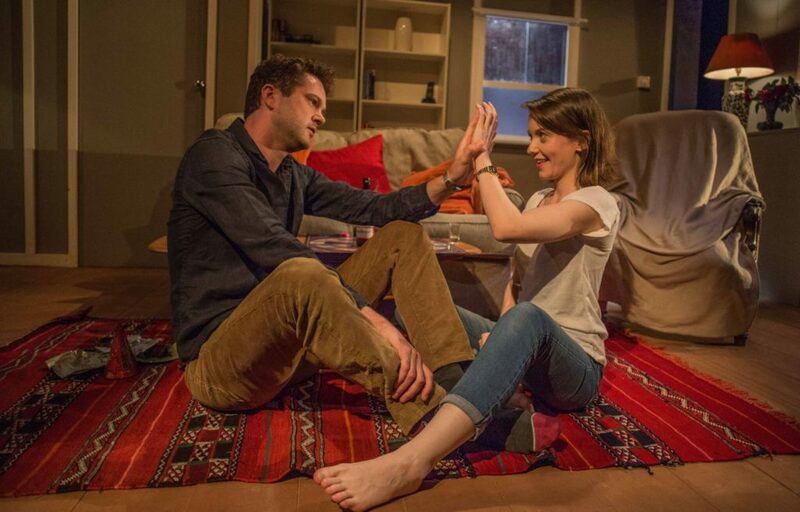 But it’s the character of Sarah, a young autistic woman learning and growing as she navigates the adult world of her sister and brother in law, who we’ve rarely seen on stage or screen. Unfortunately this enigmatic character, who has such an impact on her sister and brother in law’s lives, remains just that. She has some great lines, announcing she’s not an ‘idiot savant’ or anything like that lazy cultural benchmark of autistic characters, Dustin Hoffman as Raymond in Rain Man. But the moments when we’re given a glimpse of what lies beneath this anger are tantalisingly brief. The play ends quite abruptly for me, and I think it’s because I found Sarah’s journey incomplete. I wanted to see more of her, learn more about her life and her world beyond the impact she has on her sister’s life. Rae Brogan (Sarah). Photo Sam Taylor. I wanted Burning Bridges to be a bit bolder, but the relationship between Kate and Sarah, with all of its knotty complexity, guilt, love and obligation, is drawn with warmth and affection. It’s refreshing to see a dynamic between sisters that goes beyond the the usual competitiveness and jealousy towards something more tender and real. 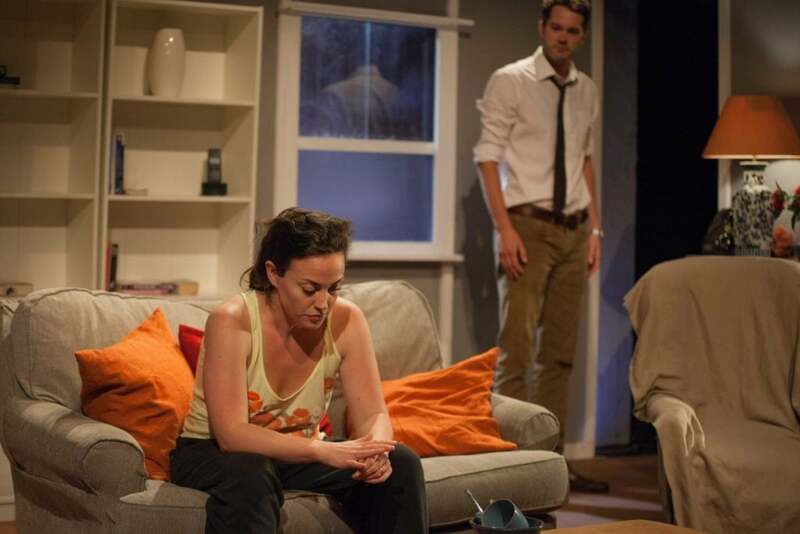 Burning Bridges plays at Theatre 503 until 8th October. Get your tickets here.